This do-it-yourself quick-start guide will help beginning website owners set up their own SEO and increase their website traffic QUICKLY and for FREE. No history or elaborate explanations will be found here. 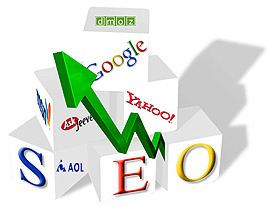 This article explains a simple, easy to implement, generic way of doing a specific SEO plan yourself. This step-by-step guide will show you how to set up some good, safe, white hat SEO/Traffic on your new or existing website with the least amount of effort in combination with the easiest-to-use free online resources. More specific instructions are provided for Doodlekit website users, but any website owner can use these. As we say in England ... blimey ...crickey ... etc. Just 1 day and I can see a difference. To all thinking this is hard work ... it is ... but it's really worth the effort. please pass this info on to some else...We at UBMore,Inc. would like to thank DOODLEKIT for giving us this website. Your stuff is useful but it should be supported with practical demo. You're looking at one - we eat our own dog food here. Doodlekit.com is successful due in in large part to this specific SEO plan. Very nicely done post. I'll try to get back here again.